How did you come to have the political views that you have? What experiences have influenced your views the most? 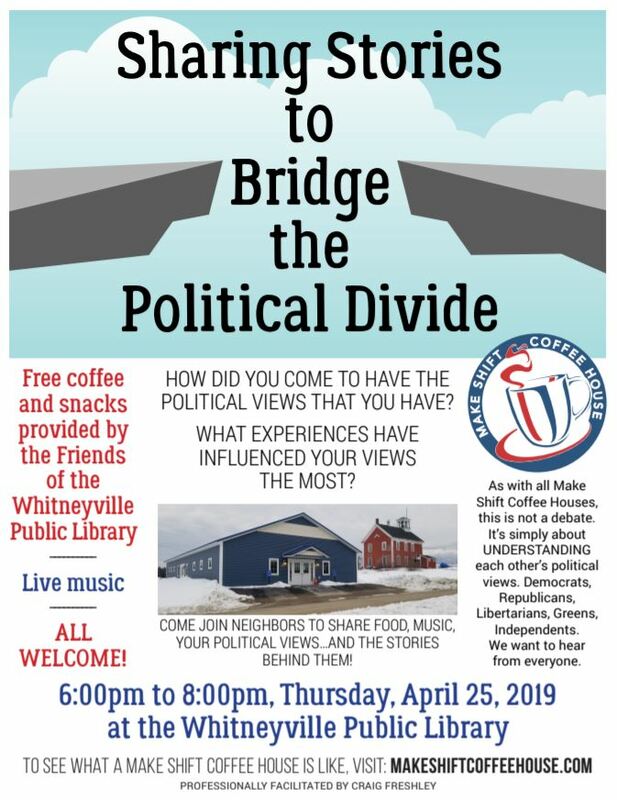 Come join neighbors to share food, music, your political views…and the stories behind them! As with all Make Shift Coffee Houses, this is not a debate. It’s simply about understanding each other’s political views.